What about if you found yourself in jail? Hopefully, this is never the case for you. Yet, there’s no way you can predict the future. If you found yourself in jail, would you have enough money to pay your bond? Or would you need assistance from an outside source? If you don’t have family or friends that are well-off or have connections, bonding out isn’t a simple matter. 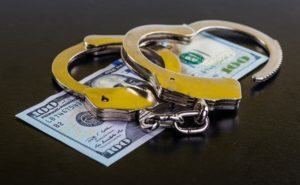 For these instances, here is everything you need to know about how bail bonds work. In cases like these, jail is a real possibility. If you don’t have the means to post bond for yourself, it’s important you know who to turn to. A bail bondsman acts as a third party insurance company. Upon paying the bondsman a 10% fee of your bond, you are released. There are different types of bail bondsmen. Most handle general bonds, while others specialize in certain ones, such as those related to immigration. Bondsmen sometimes require folks to report their whereabouts and additional details to them, independent of the court system. If you skip your bond, they are authorized to go after you. If you choose to use a bail bond company, there are additional considerations, such as keeping them updated on your life. But this option is worth your time if you don’t have the money to post bail for yourself. When understanding how bail bonds work, it’s important to know that not everyone needs them. Some folks don’t want to deal with the additional hassle they perceive a bail bond company bringing, such as reporting their whereabouts. Others have enough money, if not in cash, then through homes, cars, or other items that are acceptable collateral. Some bonds are small enough that making the payment is not an issue. Family members sometimes help out those in need, meaning they don’t have to go through an outside company. Bail bond companies are not for everyone, but it’s important to know their services are available. 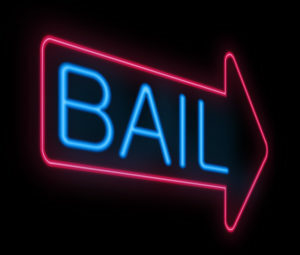 Knowing how bail bonds work comes in handy when avoiding staying in jail. How do you know if these are the best option for your situation? The answer will vary based on your case, how much money you currently have available, and how high your bond is. Bonding out is never a cheap option, but there are instances where it’s crucial. If you anticipate going back to jail, bonding out is helpful when going back home to take care of personal family matters. If you have some money, but not enough to meet the full bond, a bail bond company is the best choice. You’re able to get out of jail without calling upon friends and family to help. As long as you return to court and stay in touch with the bond company, you won’t run into further issues while awaiting your trial. While discussing how bail bonds work, we have focused on bonds and how they are used for criminal cases. This is the most common reason folks get bonded out. Bonds are helpful in civil court cases, too. They are used to ensure individuals pay any debts they owe the court. This includes interest that collects on mandatory court payments. They are helpful in a variety of civil situations, although small claims are the most popular. Federal bonds are another example of bail bonds. As the name suggests, they are used in federal cases. Federal bonds offer a surefire guarantee that defendants will appear for anything related to their pre-trial. They require these individuals to comply with additional factors associated with their release. “But I’m not a criminal!” you say. Why would you want all this information if you abide by the law? The truth is, you never know what situation you’ll run into that becomes escalated to a court issue. It could be something as minor as a civil matter. Perhaps your company becomes involved in a criminal or federal case. A family member calls for help because they are in trouble with the law and don’t know where to turn. In these situations, it pays to have somewhere to go. If you find yourself stuck needing a bond for yourself or someone else, let us help. Contact us, and get started on the process of bonding out. We are here to walk you through your situation, and pay the remainder of your bond after you offer 10%. Don’t let yourself or a family member sit in jail while you wait for a court date. Get started today, and see how simple the bond process is.